The Rechargeable Battery Pack is designed to make your BFST® Wrap completely mobile. Simply attach it to your wrap and do treatments wherever you go. You're no longer limited to the length of the cord. The Battery Pack is easily charged using your BFST® Wrap's power supply cord. The indicator lights on the Battery let you know when it needs to be charged again. The Battery Pack makes it so much simpler to get in your 3-4 treatments per day, because you don't have to wait around while you're plugged into the outlet anymore. If you want freedom of movement during your BFST® treatments, the Battery Pack is a must have. Now you can do your treatments while you're doing things around the house, while you're driving, while you're at work or while you're running errands around town. No more being stuck in one place during treatments because of the cord. The Battery Pack is perfect for people who lead busy lives and want to multitask. You can go about all of your daily activities as usual while doing treatments at the same time. The Battery Pack is ideal for travelling as well. It's light and compact and easy to store. 3-20 treatments, depending on which BFST® Wrap you're using and the level you're using it at. For example, the BFST® Achilles Wrap will last for up to 10 treatments on Medium when fully charged. Recharging a completely drained battery back to 100% takes approximately 4 hours. While you can use the Battery Pack and charge it at the same time, this means it will take longer for it to reach a full charge. 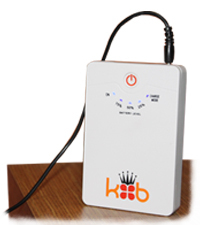 *Battery Pack is specifically designed to work with all King Brand® BFST® devices. Your BFST® device comes with the components you need for treatments and to charge the Battery Pack. If you're experiencing pain, swelling and inflammation, check out our line of ColdCure® Wraps. These medical grade cold compression wraps use our unique XC RigiGel® formula to deliver superior relief of pain and swelling. Extremely effective when used after physical activity. To provide your injury with additional support and protection, check out our KB Support Tape. This soft, stretchy medical tape can be applied to almost any soft tissue injury to provide ongoing compression and help prevent re-injury. Best used between ColdCure® & BFST® treatments and during physical activity. King Brand® is the manufacturer of both medical grade and consumer grade products. All of our products are designed with our customers in mind. King Brand® soft tissue rehabilitation medical devices are the #1 choice of top athletic therapists and medical practitioners worldwide. We provide guaranteed results and customer satisfaction. Like all King Brand® products, there simply isn't a better performing option. All King Brand® products come with a 100% satisfaction guarantee. Try our products and if you're not completely impressed, you can send them back for a full refund. We know you will love them though, because thousands of people already use them and rave about the results. Note from KB WebMaster - The text below is primarily intended to assist with Google properly classifying this page content. To learn more about our products please visit our website.<br>The BFST Battery Pack or Rechargeable Battery Pack can also be called a Wireless Power Pack. The Battery Pack is designed to work with all BFST Wraps. The Battery Pack makes your wrap completely mobile. This means you can do treatments anywhere and at any time. Do your BFST treatments at work, in the car, while you're running errands or while you're doing chores around the house. The Battery Pack is easy to use and attaches anywhere on your wrap. 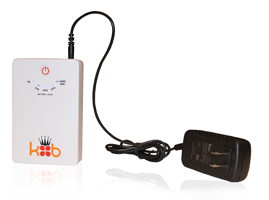 Recharge your Battery using the BFST power supply cord. 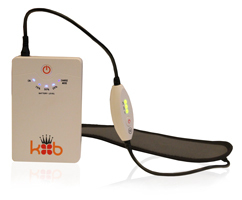 The Battery Pack is ideal for people who want to do treatments on-the-go. No more being plugged in all the time. A fully charged battery lasts for 3-20 treatments depending on which type of wrap you're using and what level you're using it on. The lights on the Battery Pack indicate your charge level.